Reece Mastin’s peeps have gone bonkers on social media this afternoon, re-tweeting all and sundry in the hope of getting his new single ‘Shout It Out’ (pictured) to No.1 in the trending topics. The track is set to be unveiled on Friday and comes off the back of ‘The X Factor’ winner’s No.2 hit ‘Shut Up And Kiss Me’, which is certified gold (for sales of more than 35,000 copies). 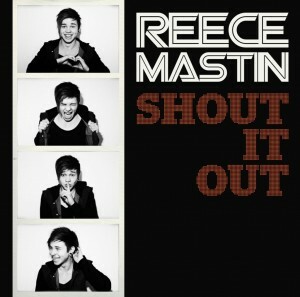 Reece has revealed that his debut studio album is currently due for release in September.